This series is the result of an exploration of the landscapes in a place that exists primarily in ice. I have chosen images that not only shed light on the variety of conditions, patterns and forms that ice inhabits in Antarctica, they also serve as metaphors for the psychological landscapes in which I existed while living there. Ice has the ability to make us question our assumptions about what is permanent, about what is stable. The ice shelf appears as solid as land and yet there is water rushing a few feet beneath. When an ice breaker rips through the winter ice, it leaves chaos and disharmony in it’s wake. Sea ice is in constant flux; a capricious and joyful landscape. It is the dance between water and ice. Lastly, the ice edge is a frontier. It is the line that is struck between known and unknown. Antarctica is otherworldly in its monochromatic sublimity. It is as diminutive as it is vast. Through looking closely at ice, it is possible to steal a glimpse of the past, present and future of the place. 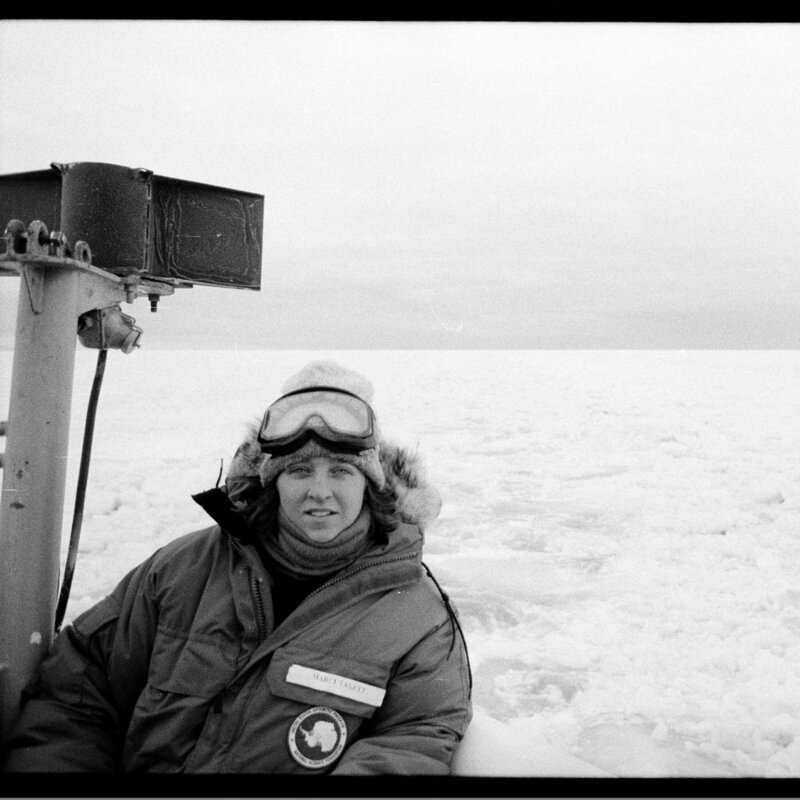 The photographs were taken in 1996 from a ship in the Ross Sea. Shown at Kala Art Institute in an exhibition entitled Continental Drift in 2001.